Natural language processing (NLP) is affecting more than just your chatbot experience. 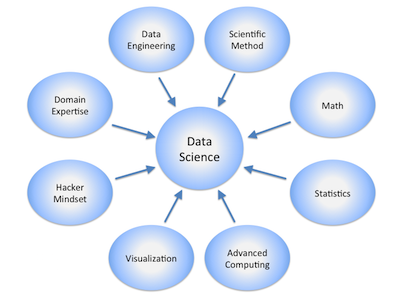 It has broad-reaching applications in any field where data is king. Here’s a hint: that’s every field. You may not expect NLP to transform fields outside business and finance, but considering how much data humans have produced throughout human history, the application was inevitable. We’re finally able to make sense of massive amounts of unstructured data and apply that learning to fields traditionally heavy in “mental labor.” Let’s take a look at what NLP is doing in three unexpected fields: history, art, and higher education. Higher education is a field typically requiring a lot of headspace. The simple act of grading an essay, for example, is both technical (is there a thesis statement?) and subjective (does the writer sufficiently argue the point?). NLP is taking the load off teachers (and teaching assistants) by allowing them to focus more on the subjective in assessment and less on the technical, as well as giving students a connection to authentic experiences. Pearson, a giant in assessment, is already working on NLP algorithms to produce faster, more accurate test results that don’t require a heavy mental load from assessors. Technical aspects are assessed, and then essays are passed off for more objective evaluations, reducing workload and lag time. Other testing sites such as ETS are following suit by applying NLP to assessment, but the advancement goes far beyond grading. Integrating AI into the learning process both for students and educators is the next big wave. At The Mandarin Project at New York’s Rensselaer Polytechnic Institute, students walk into a virtual China to practice Mandarin skills, allowing them to immerse in the culture and language without having to leave New York. AI responds to basic conversations the way native speakers would with a critical upgrade, feedback. Students are far less embarrassed to make mistakes with simulation, and the computer provides vital and immediate feedback. Another application takes inspiration from the business chatbot world and applies it to teaching assistantships. At the Georgia Institute of Technology, AI is helping teaching assistants to answer students’ more basic questions. Just like customers tend to ask about store hours over and over, students ask similarly simple questions repeatedly as well. The computer handles those elementary questions, leaving human teaching assistants more time to answer deeper content questions. In a world with near instant communication, banking, self-driving cars, and delivery for any restaurant ever, the art world is sometimes…slow. Not the production side or the creative aspect, but the presentation and market. Museums and auction houses are scrambling to find ways to stay relevant and entertaining, with some hopping on the social media bandwagon with great enthusiasm and success. Art valuation requires precedent but what do you do with unprecedented art pieces? Previously, you combed through disparate information and bits of data for weeks or months before producing an estimate. Now, AI handles that for you. AI can learn aspects of art valuation that drastically speeds the process, giving art historians and collectors the final say how much a piece is worth and who is most likely to buy. It allows auction houses to turn pieces more quickly for a world that moves fast. Sotheby’s, the oldest international auction house around, now uses Thread Genius to handle those data loads. The team uses machine learning and search query to quickly find out how much the value of an art piece has changed from auction to auction, for example, or provide a lower barrier to enter the art market through faster valuations. Their work even makes it easier to search for art objects, both through subject and style. This is creating better indexing and better record keeping. Of all the disciplines, history has the most to gain from NLP. Mining and preserving data from the past requires a steep learning curve for machines, both for context and because of linguistic variances. These deep contextual patterns may offer us the chance to organize our data in ways previously impossible through simple machine understanding. The contextualization provides rapid insight into political trends during a certain period as one study of newspapers discovered. Another application is sentiment analysis to extract patterns not apparent to humans with limited brain power for such broad scope. It doesn’t have to be deep history either. The UN recently set out an initiative to find ways to use social media and text content as a “canary in the mine,” signaling the coming of political or public health crises before they reach peak mass. For more in-depth history, researchers are using NLP to form what they call historical networks, a framework similar to neural networks. Studying readily available historical documents through digital libraries and corpus collections is revealing just how profound these networks are in analyzing and understanding the way significant events have unfolded. The study isn’t perfect. Missing records form a large part of our blind spots in evaluating historical records, but future NLP applications may also reveal to us what is conspicuously missing from those records. We’re only just beginning to mine data created today, much less generations of incomplete data. Contextualizing fields that relate to human experience and learning could be the way to make sense of some of our most profound questions. 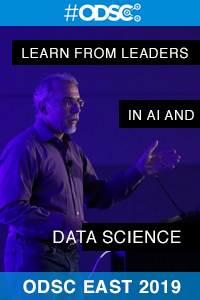 As these fields evolve with the aid of AI’s comprehensive approach to data, we may uncover pattern and applications that build our networks and reveal answers to some of our biggest questions. 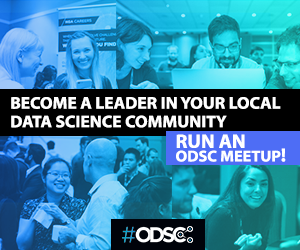 Ready to learn more about natural language processing and how you can apply it to your organization – regardless of field or industry? 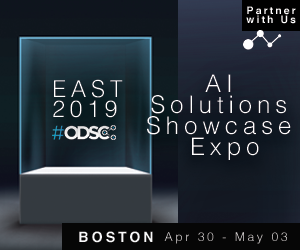 Attend ODSC East 2019 this April 30-May 3 in Boston and get hands-on experience with experts!